MAVTV offers an unparalleled line-up of exclusive motorsports and grassroots racing series’ from across the globe. Owned and operated by Lucas Oil Products, MAVTV is a television network with its roots deep in the automotive world. 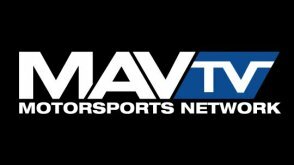 MAVTV offers an unparalleled line-up of exclusive motorsports, that includes prestigious events such as the Chili Bowl, The AMA Pro Motocross series, the Lucas Oil Challenge Cup and NHRA Drag Racing. But MAVTV goes far beyond the national mainstream events and also covers multitudes of grassroots series’ from across the globe: Drag boats, sprint boats, drag racing, pro pulling, rally racing, drifting, dirt racing, ice racing and everything in between. MAVTV also knows you don’t have to be a race fan to be an automotive enthusiast, which is why we have developed a package of automotive reality and custom build shows that is truly second to none. If it has a motor its on MAVTV… MAVTV is THE Motorsports Network.